Selenity is Yin Consciousness (Female Consciousness) and the partner spirit of Saint Antonius (The Sun Consciousness). 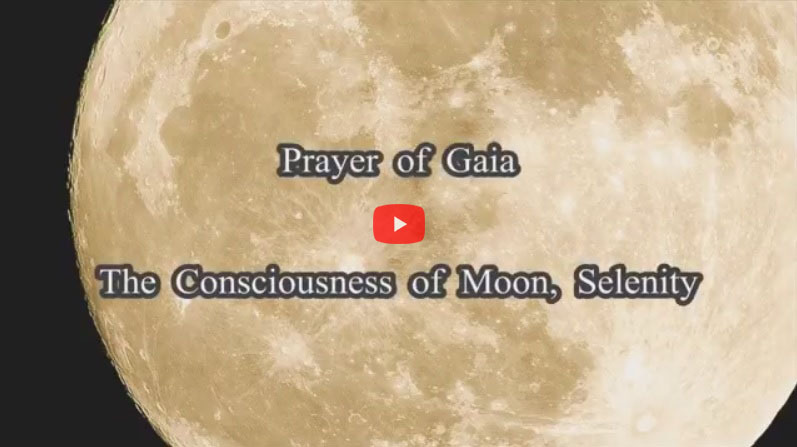 Since a part of her energy dwells in the moon, she is also called "Moon Consciousness". As easily identified by the earth people, Selenity appeared with her platinum white hair, wearing a long platinum white colored dress when she sent her spiritual messages. She is a very beautiful person of splendid proportions. In the entire solar system, Selenity controls the Law of Venus (the Principle of Yin) that revealed the fundamental law of feminine. Prior to the opening a new space age, she descended the law of women through Lemuria Renaissance for the first time in the long history of earth. As it had been a promise between Selenity and the Earth such as the Earth Consciousness or the Ninth dimension spirits since the time immemorial, she has come to fulfill the promise. Selenity has also a great influence on nurturing the lives on earth. Through Selenity who dwells in the moon, the Earth has been receiving the energy of love from Saint Antonius much more than other planets have been. Owing to Selenity's assistance, it enables Earth to exist as a planet that various sorts of life forms can actively live. The role of the women to fulfill in this age is very big. Being themselves oppressed, concealed, persecuted, women might have experienced trauma and suffered. But, you have very strong power originally, so as to be able to purify all of them. Please be aware of the power. Your energy is precious, and blessed by God, and it is the role since the creation of Universe. I hope that there will grow up the self-awareness in you all. I am always loving you all. Not only for women, I am loving men also. I am the mother of yours. There is not a single of you men who wasn't born from a mother's womb. All of you were born from a mother. I am watching this age now. I will send you courage and love. Keep going to the end. To create this age, keep going at the risk of your life. Man has to build up the new age exerting all your energies, as men, as the energy of Yang. Women have the women's roles. If you are going to change this age with wisdom, courage and action, on the will of love women are to accept the many injured people in this age, even children also are being injured, so accept all those people who have been injured. Without insisting and pushing away, accept them. And please purify them with the full love of yourself. And revive them and make them rise up in to the sky like a phoenix, one by one. Such energy is the women's energy. Without being aware of it, the power doesn't come out. Unless you are aware of it, you cannot be awakened to your own power. Unless you are ready to accept it, the power of your own doesn't come out. For the awareness, the law has been sent down. To notice yourself, be aware of yourself, to face yourself, and to perceive the power of yourself again, now this Law of Sun has been sent down. Nothing new has been sent down. It is the Providence which has been flowing through Universe since time immemorial. It is the Providence of love. It is the fundamental law. What this person is conveying is all the fundamental law. Please apply it to the current stage of Earth. A man cannot do an original true work without the energy of his own source. Understanding the origin of the masculine and the feminine, with a plentiful personality of God being put to each one and with the decorated power of personality, please perform a splendid work. In order for you to be able to do it, first be basing on the law firmly, perceive who you are really. There is no other way to explode the power of yours, to be aware of it. When it has been done, bloom your single flower here, which only can be bloomed in this age. You can blow a wind of men that only can be blown in this age. Blow this wind of the renaissance. Women, bloom a beautiful single flower of your own. It is the flower of your own, which cannot be bloomed other than in this age. Blow the wind of your own. For that, you have to encounter yourself. When you are awakened to your true self, your power comes out. By that, this Earth will be changed.